A beautifully shaped eyebrow in the right colour can do a lot for your face. Your face will become more expressive. By dying the lashes and eyebrows attention is focussed on the eyes and your natural charisma will be enhanced. The dye which we use is available in many different colours. The colours which are used most often for dyeing lashes and eyebrows are black, blue-black, brown, light brown etc. To prevent dye from getting onto the skin or into the eyes, we use so-called lash-sheets. How long the colours will last differs from person to person, but usually they will fade after 4 to 5 weeks. 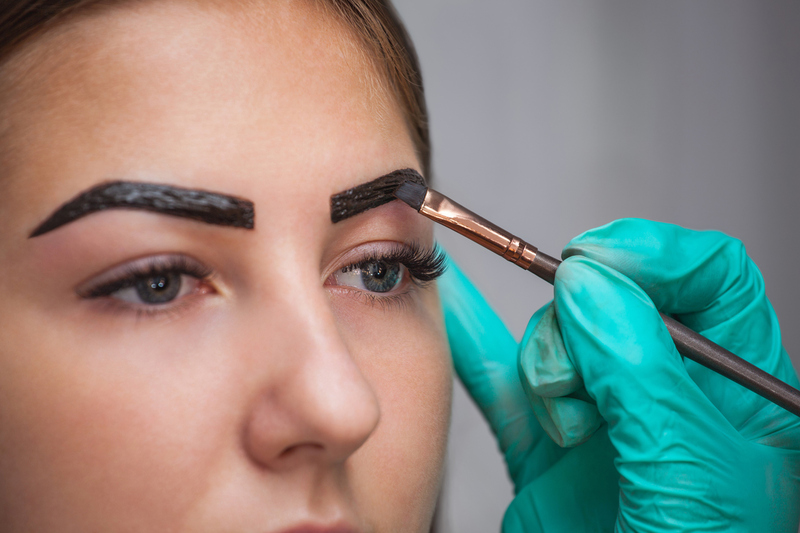 It takes the body about 6 to 8 weeks to produce new lashes and eyebrows so by that time the lashes and eyebrows will have gone back to their natural colour in any case. The dye we use has been especially developed for eyebrows and lashes, but works on the same principles as normal hair dye.